Ability Text: When Gleaming Overseer enters the battlefield, amass 1. 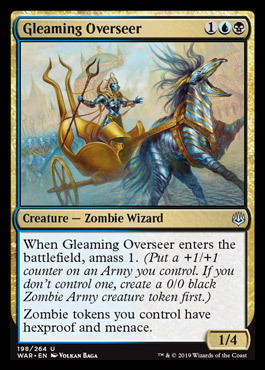 (Put a +1/+1 counter on an Army you control. If you don't control one, create a 0/0 black Zombie Army creature token first.) Zombie tokens you control have hexproof and menace.